If there is one dish that I can have anytime and anywhere, then it is dosa. I am fond of all varieties of dosa. And masala dosa is what I order every time we are at a “Tiffins” joint. 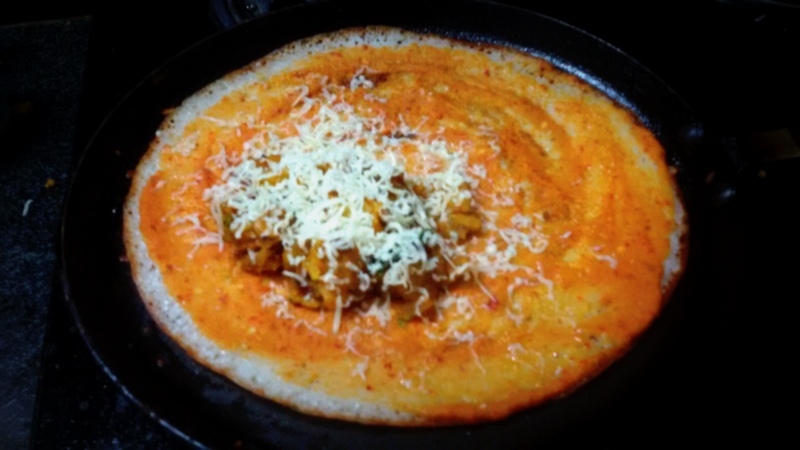 Mysore masala dosa is one of its kind dosas that I had when we were in Bangalore. The dosas in Mysore/Bangalore area are little different from other parts of South India. What makes it special from the regular masala dosa, is the spicy red chutney that is used to spread on the dosa. Red chutney is a thick garlic, onion and chilli chutney….smeared inside the dosa before the masala is filled. Dollop of butter on top of the potato filling and the dosa ready to serve. I added some cheese as a twist, was in mood of indulgence. Its optional of course. 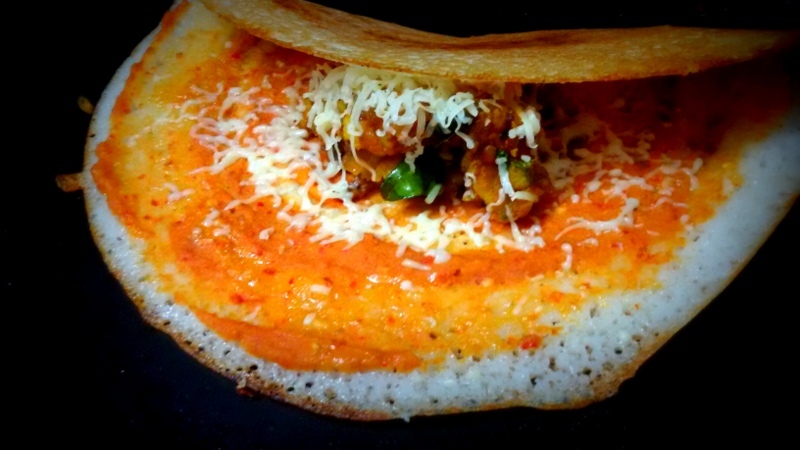 You can serve it with coconut chutney or sambar….but I personally feel these dosas don’t need any side chutney as such, because of the spicy masala inside them. In a pan fry garlic and onion with drizzle of oil on medium flame, until slightly browned and the raw smell is gone. Add red chillies and fry for another 30 seconds. Switch off stove. In mixer jar add gram dal, coconut and sauted masalas, salt and grind with very little water. This red chutney for the masala dosa should be thick so add very little water. Heat oil in another pan. Add mustard seeds. When they pop, add turmeric, green chillies and onion. Fry until the onions are translucent. Add the mashed potatoes, salt and a tbsp of water. Mix well. Finish with lemon juice and chopped coriander. Heat a lightly greased griddle/tawa until very hot. Sprinkle a little water on the tawa, do this for every dosa as this helps to cook more evenly and less prone to dosa sticking to the tawa. 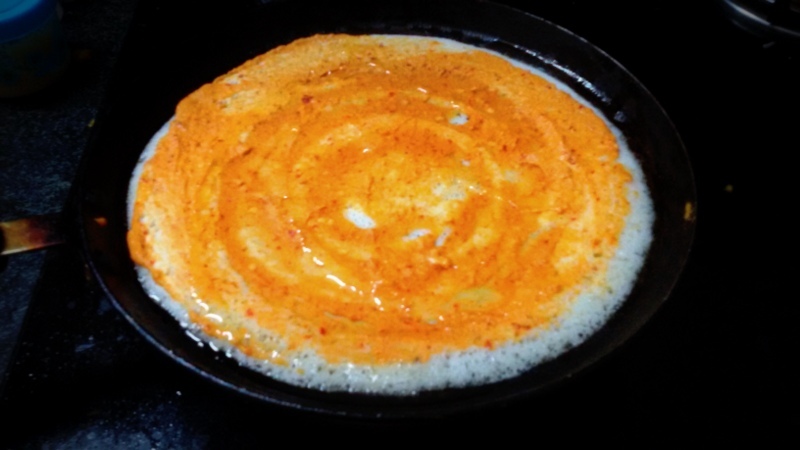 When the water evaporates, pour a ladleful of batter in the center of the tawa and spread it in a circular motion. 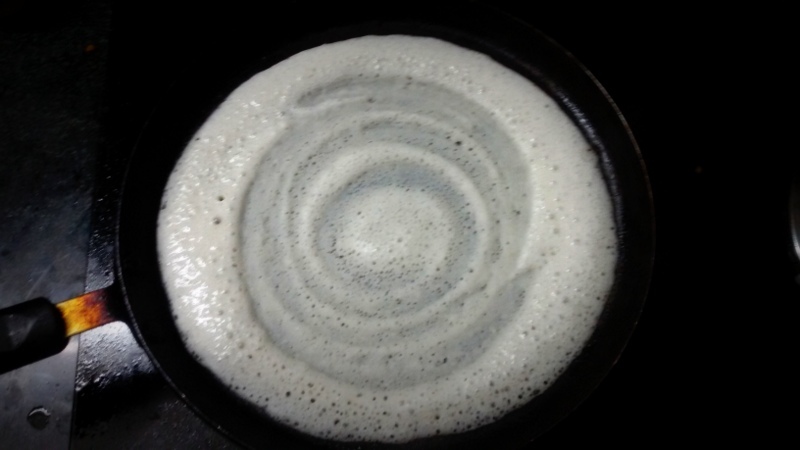 Pour about a tbsp of oil around the dosa. Now spread red chutney evenly on top of dosa, add dollop of butter and cover with a lid for a minute. Now add the potato filling and wait till dosa gets this gorgeous golden brown colour. 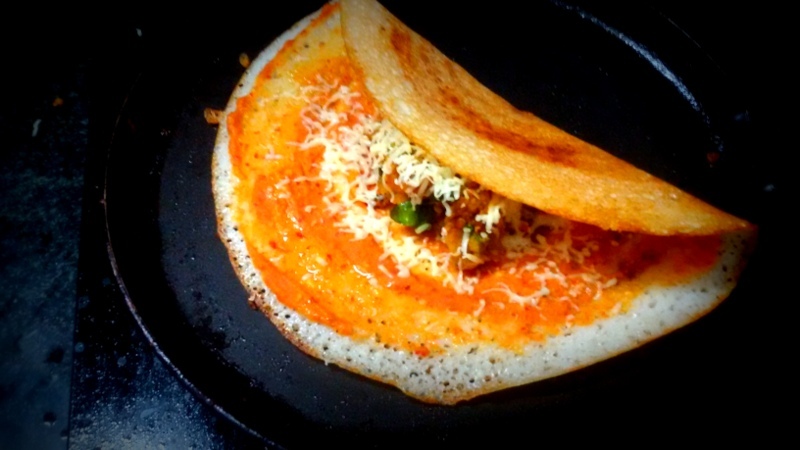 Sprinkle grated cheese on top and fold dosa. No need to flip it, serve it as it is with any chutney or sambar. Gongura/Sorrel leaves are one of my favorite things in the world. The natural tangy flavour gives lot of texture to any dish we cook. gongura is a very rich source of iron, vitamins and anti-oxidants essential for human nutrition! There are lot of varieties we make with gongura like pachadi, gongura royyalu curry, gongura pappu. 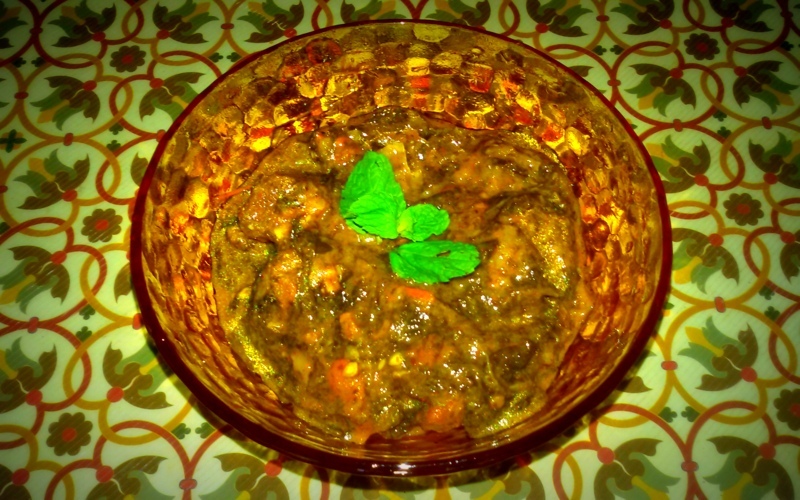 Gongura mutton is a classic combination of gongura and mutton, marinated in spices for few hours or usually overnight. Then pressure cooked to tenderize the meat and also infuse the spices and finishing it with house made garam masala and special goat curry spices. Andhra food is incomplete without gongura mutton. 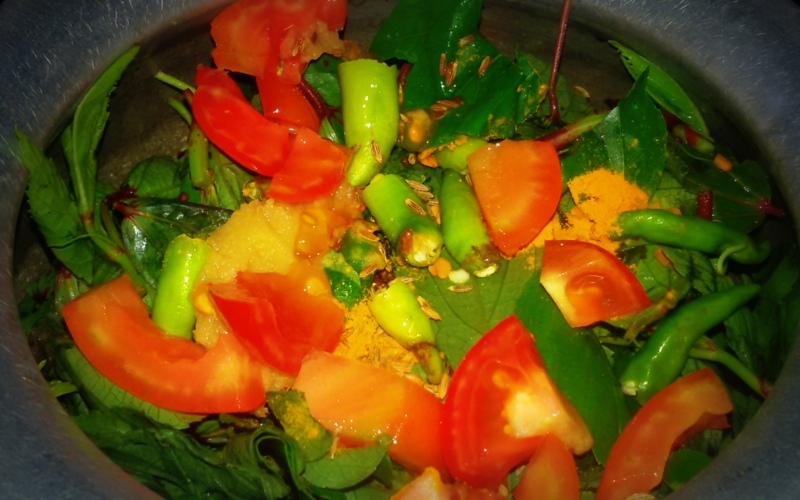 I have learned from my friends that guntur produces the best and fresh quality of Gongura / Sorrel / Ambada. Farmers pick Gongura early in the mornings so that the moisture is retained for the longest possible time. There are two types of Gongura. One is red stemmed sorrel leaves and green stemmed sorrel leaves. Red leaves are a bit more sour in taste. The pungent smell of the leaves and luscious green color makes the recipe pleasing to eyes, nose and taste buds. 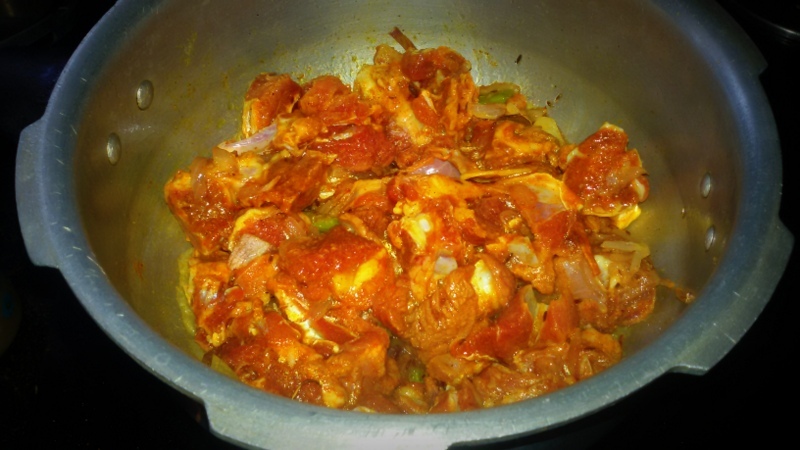 Marinate mutton with half of the above mentioned ingredients- gg paste, chilly powder, salt and turmeric powder. Separate the gongura leaves from the stalks. Cook them with the rest of the ingredients mentioned above in the section for gongura leaves. Remember to add very little water just to combine all of them together. When the leaves are cooked completely let them cool for a bit and mash them. In a pressure add oil and the dry spices. 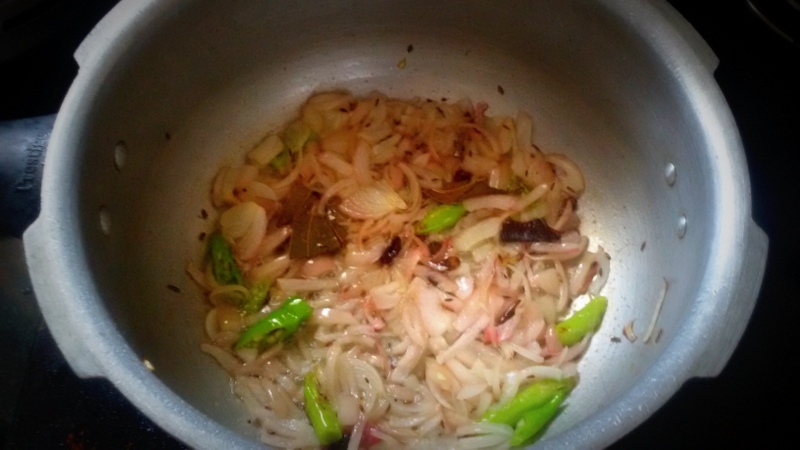 Once they start to splutter add onions and curry leaves followed by the ginger garlic paste and green chillies. 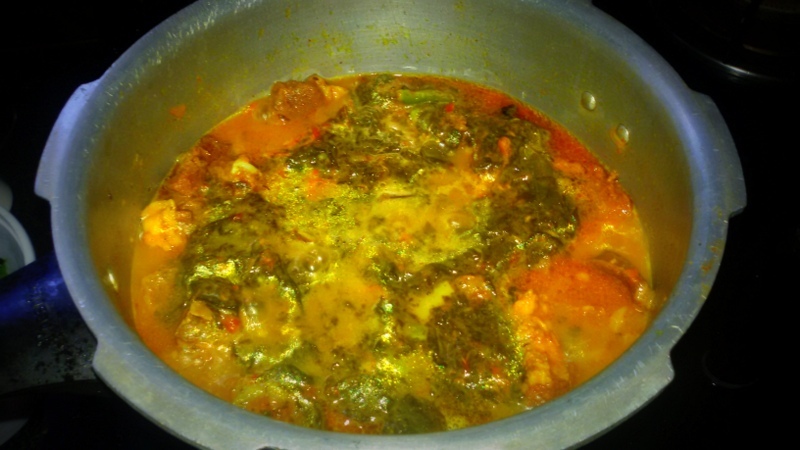 Add the mashed leaves to the mutton once the pressure settles down and let the curry simmer for 10 minutes so that the gongura leaves get infused into the mutton curry. 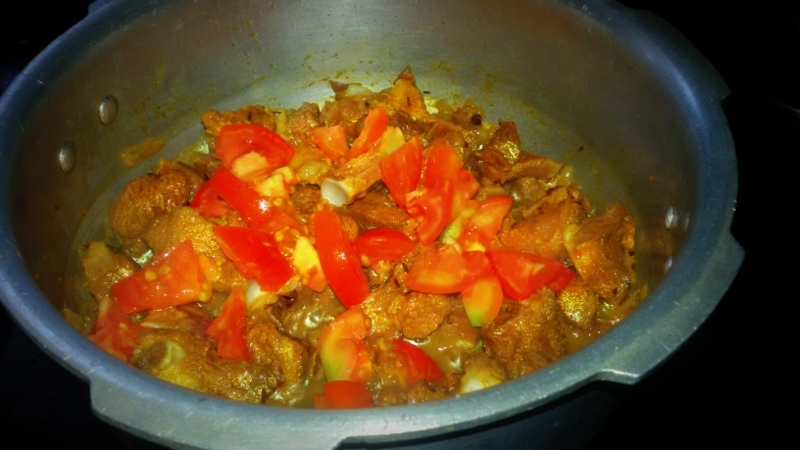 Serve it with steaming hot bowl of rice and yenjaaaaii!!!! Try it, to taste it!